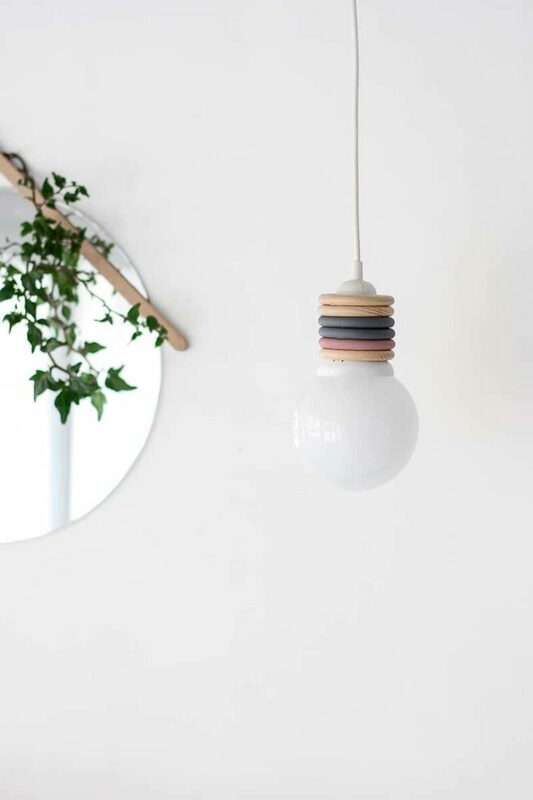 Sometimes it does not take much to create a pretty DIY lamp … Indeed, with some rings and a little paint, you can create a nice suspension that will be perfect for your interior! 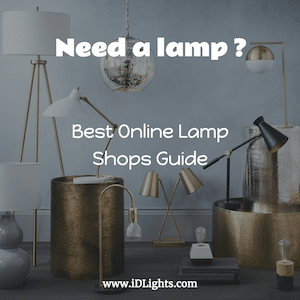 HOW TO CREATE YOUR DIY WOOD LAMP? To create your DIY wood lamp, you will need a suspension, a light bulb, a few wooden rings (the ones you use for the curtains will be perfect) and a little bit of paint. 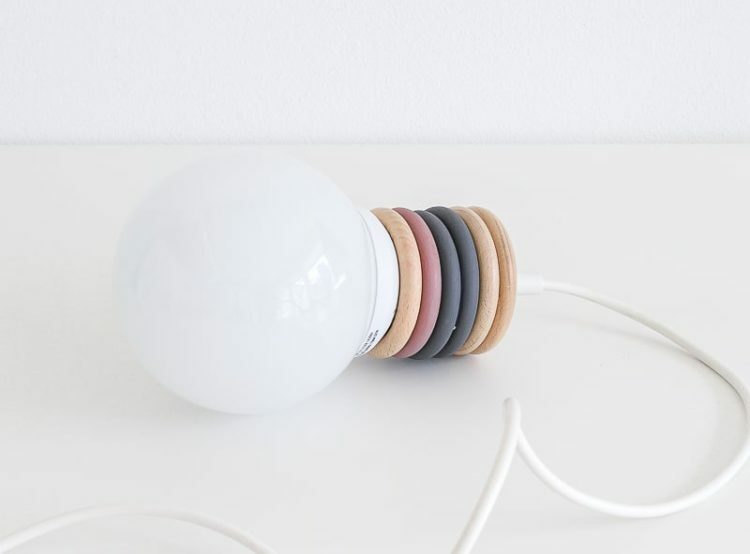 You can, of course, adapt the colors of this wooden DIY lamp by choosing the ones that best fit the decoration of your interior! Fix the light bulb! That’s it!